We can all agree on this one: to make a political thing out of someone’s death is disgusting! But, this is not what Democrats think. They want to make EVERYTHING political. They just can’t help themselves! MSNBC host Al Sharpton used Aretha Franklin’s funeral to attack President Trump. Sharpton spoke so eloquently about her life… only to finish with a political statement. Oh well. 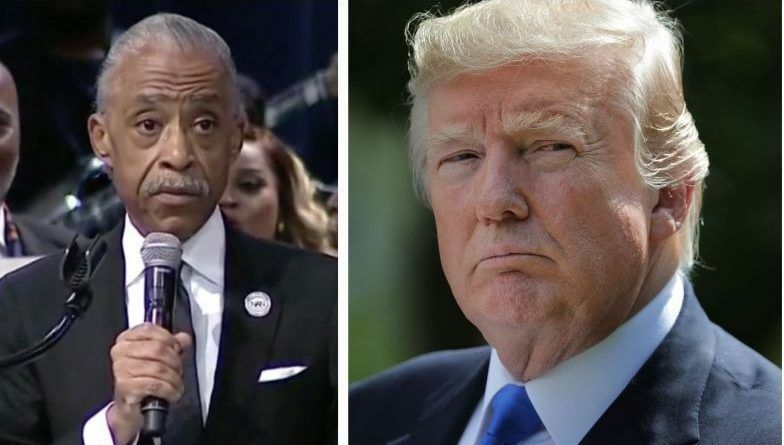 Friday in Detroit, while making his remarks Al Sharpton said President Donald Trump needed to learn what respect means. Well, first of all, Al Sharpton needs to learn what “paying taxes” means. How typical of Al Sharpton and the Democrats pushing agendas when all Trump did was give his condolence. He needs to learn what class and respect for the dead means. He couldn’t resist bringing politics into the last goodbye. November will be nasty and it won’t go the way they think. Facebook has greatly reduced the distribution of our stories in our readers’ newsfeeds and is instead promoting mainstream media sources. When you share with your friends, however, you greatly help distribute our content. Please take a moment and consider sharing this article with your friends and family and on your Facebook wall or other social networks that you use!